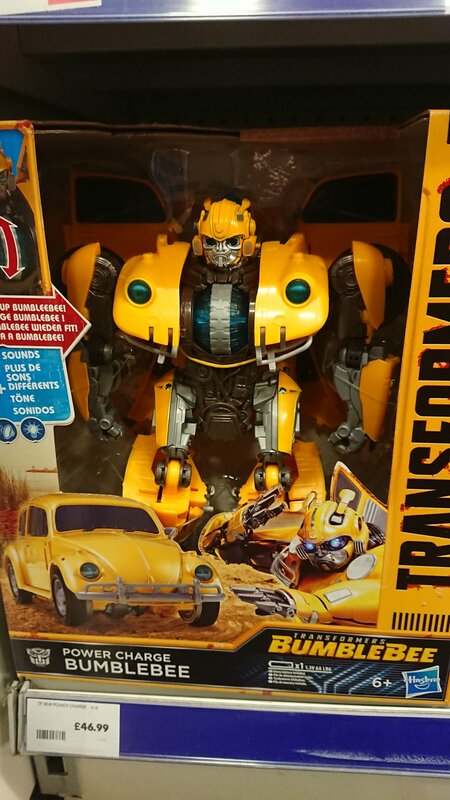 Hot on the heels of a news regarding Transformers: Bumblebee movie toys hitting the shelves in Chile, we have now learned that the toys have arrived to the shores of United Kingdom as well. They also have a Cyberverse Ultra Class Shockwave i've not seen before in addition to a bunch of Bee Movie One steps. There is some pics and listing on their website now if your interested. Just had my mate @mcluskyism drop me a line to say these were on sale at The Entertainer in Bexleyheath. Didnt tell me prices though. Liking the Beetle figure, looks a fun little fella. [*] Prize may be imaginary. Illustration depicts fantasy situation. Void where prohibited. Redeem your bottle-caps now! I think it's £7 for the little ones, £11 for the one step things and £16 for the Prime. Shelf labels aren't the clearest. Transformers Toys | Transformers Figures| Smyths Toys online too!! 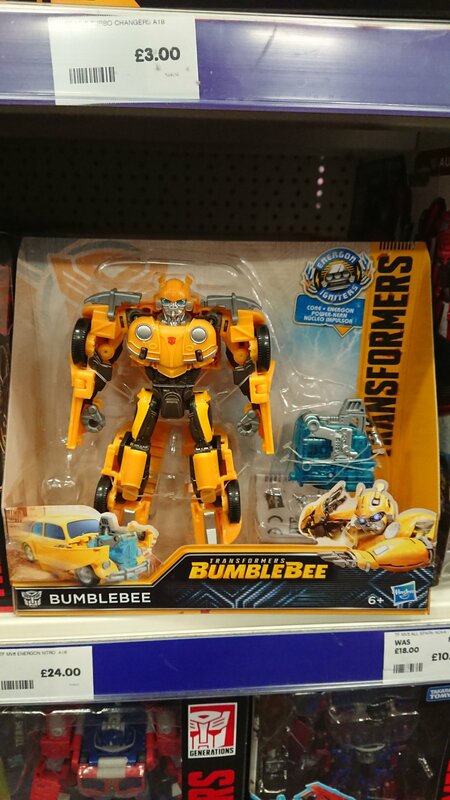 Took a count for my own amusement – there are no less than 17 different Bumblebee toys of different shapes and sizes on the shelf at the Entertainer – 5 for the new movie, 4 cyberverse, 3 rescue bots, plus some stragglers from rid and the old movies. Oh and probably an 18th in the blind bags! Didn't see it mentioned but the Power Plus series has also been released. Priced at £16.00. Only 2 Optimus Prime's in my local Entertainer. I haven\'t seen cyberverse in most UK shops yet ( just a small selection in one Entertainer ) . Hopefully these will be easier to find . 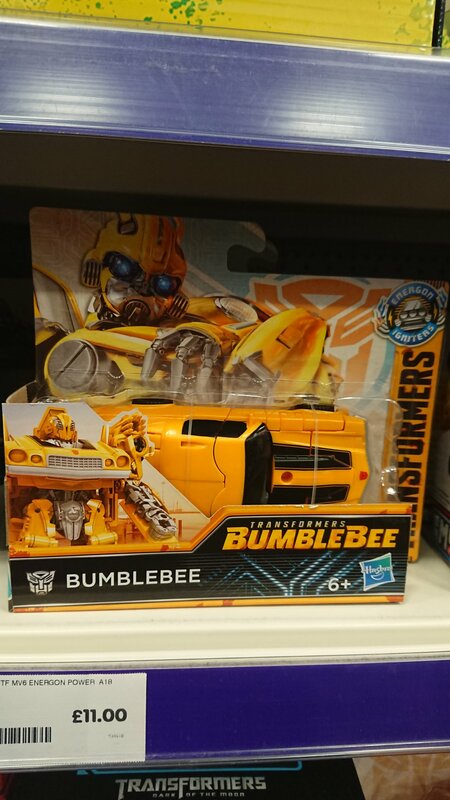 So various online retailers claim Speed Series 1977 Camaro Bumblebee is wave 2, and yet between Chile and the UK, he is part of the initial launch. 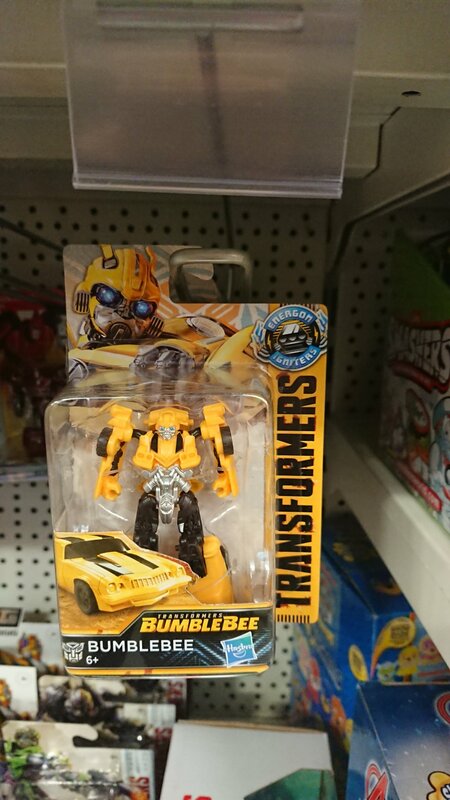 @Expeditor has posted photos in the 'UK Sightings' thread of multiple size classes from the new movie toyline at an Entertainer store here in the UK.